A prison letter written by Tupac Shakur is up for auction and is likely to fetch over $100,000. But it’s the subject matter that’s gotten everyone’s attention. 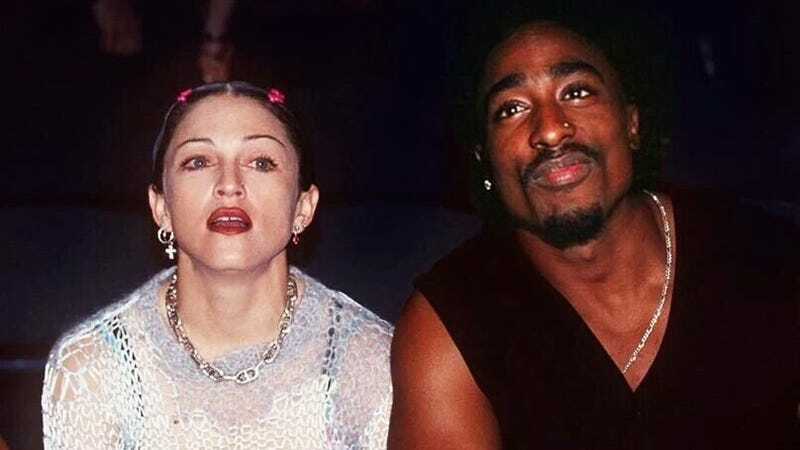 In the letter to Madonna, Tupac admitted that he ended their relationship because she’s white. “For you to be seen with a black man wouldn’t in any way jeopardize your career,” he confessed in the letter, dated Jan. 15, 1995. “If anything it would make you seem that much more open and exciting. “But for me at least in my previous perception I felt due to my ‘image’ I would be letting down half of the people who made me what I thought I was,” he continued. Tupac goes on to write that he never meant to hurt Madonna, and explained his reasoning even further. At the end of the letter, Tupac asked the singer to visit him in jail. Madonna confirmed their relationship in 2015 in an interview with Howard Stern and said that she was introduced to Tupac by Rosie Perez. The last Tupac prison letter sold for more than $170,000. Read the rest of the letter, via TMZ, here.